The Ministerial Law Committee on Sunday authorized for a Knesset vote a law that would require Internet Service Providers (ISPs) to provide internet filtering programs to their customers. The law would require companies to provide the filters and show customers how to use them, with customers deciding whether or not they wanted to proactively turn them off. The law was proposed by MKs Orli Levi-Abukasis (Likud-Beytenu) and Pnina Tamno-Shata (Yesh Atid), and was recommended for passage by Communications Minister Gilad Erdan. 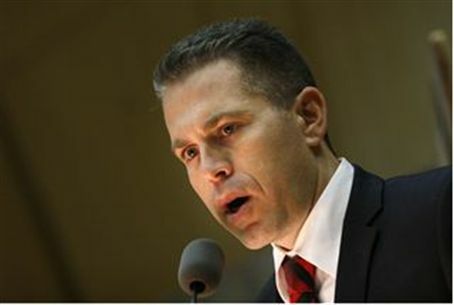 Erdan said during the discussion on the law that Israelis were not aware, to a large extent, of their legal right to a free filter program from the ISP. The law would require the ISPs to make clear to customers that they are being given a filter program, which they would have the option to turn off if they wanted to. In addition to informing consumers about the filters, the law would also require ISPs to inform customers regarding other free services they are entitled to. Such laws regarding specific services are already on the books, and Erdan has recently prosecuted ISPs who have not fulfilled existing laws properly. In addition to the law, which is expected to easily pass in its Knesset votes, the Communications Ministry intends in the coming weeks to launch an aggressive campaign to encourage parents to take a greater interest in their children's internet surfing habits.